Enigma swimming club – svømmeklub for transpersoner i London. Gerry Small stiftede i april 2006 “Enigma swimming club” i London. Han oplyste, at han havde erfaret, at mange transseksuelle selv efter kønsskifteoperation havde vanskeligheder ved at komme i svømmehaller. Som følge deraf oprettede han klubben, der har en svømmehal for sig selv, når de svømmer. Det gør, at der ingen problemer er med hensyn til omklædning, badning m.v. Alle bruger de faciliteter, som de føler sig bedst tilpas ved. Lørdag den 12. august 2006 kl. 18 – 20 holder klubben sit første “TranSplash party” for alle interesserede i Britannia Leisure Pool, Hyde Rd, London N1 (Nærmeste undergrundsstation: Old Street). Onsdag den 8. august 2006 modtog jeg (Tina Thranesen) via e-mail information om “Enigma swimming club” og dens arrangement den 12. august 2006. Da foreningen ikke har nogen hjemmeside, bringes indholdet af e-mailen herunder. I set up the Enigma Club in April when I discovered that a surprising number of transpeople, even after successful surgery, are unable to access ordinary swimming facilities due to anxieties and embarrassment. The group has been growing gradually by word-of-mouth. It is mostly transmen at present as I initially discussed it at FTM London. I am hoping that with a bit of advertising the balance will become more representative of the community. The Enigma Club is a private members club has a membership fee of £45 pa plus £5 per swim. The sessions are on the second and fourth weeks of each month. Enigma Club is hosting the first TranSplash event, on Saturday 12th August between 6-8pm, at the Britannia Leisure Centre, Hyde Rd, London N1 (nearest tube: Old Street). Nibbles and Soft Drinks provided. 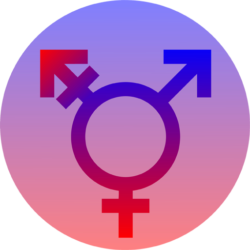 TranSplash is the chance for a mixing of the communities, for people to show their support of transpeople, and also for club members to get used to showing their bodies to other people in a safe space. The TranSplash event is open to club members, their friends, families and ALL LGBT-friendly people. TranSplash tickets: £15/£7.50 concessions, £5 to Enigma Club members.